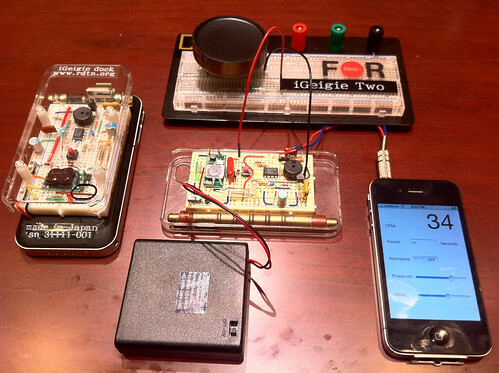 There are currently two breadboard based iGeigies out in the world. The production PCB based 1.0 version is being developed at Crash Space, a hacker space in Los Angeles, and is based of prototype #2.
iGeigie is a smartphone based project that exists to support Safecast and the work being done in Japan mapping radiation. iGeigie development is currently based in Los Angeles at CRASHspace.